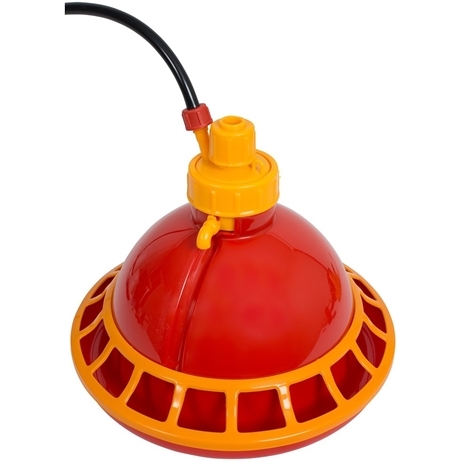 Automatic poultry drinker, suitable for both chicks and Adults with its removable anti-drown insert. 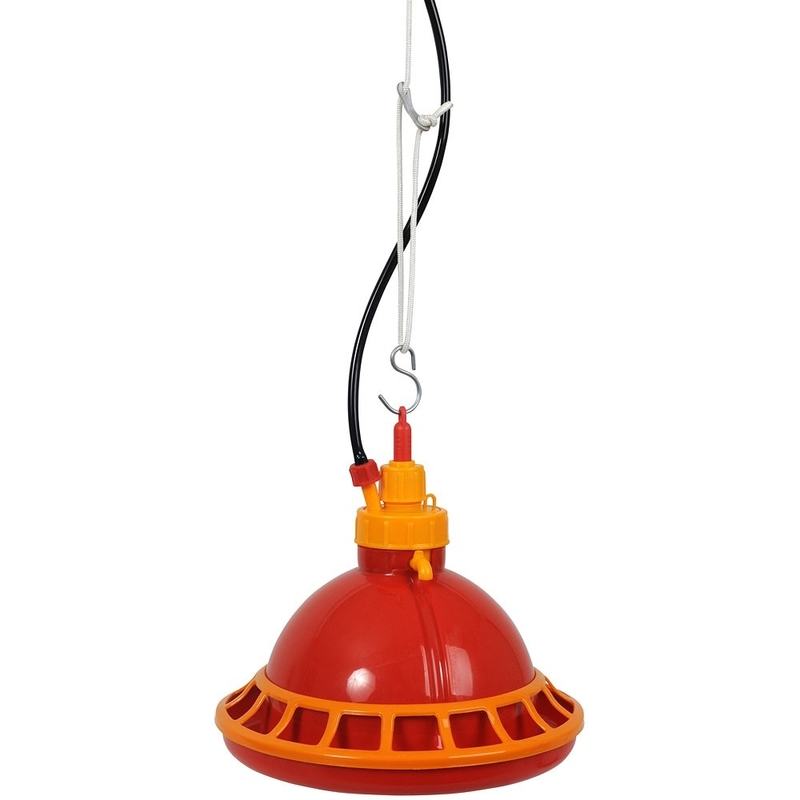 Can be suspended or placed on flat surface - For low pressure water supply only. Top quality poultry drinker designed for constant use making this drinkers one of the most versatile auto drinkers available on the market. • Suitable for up to 50 full sized hens or 150 chicks if used in larger brooder / shed systems. Note: Drinker comes with a removable anti-drown ring for use with day old chicks. • Comes complete with 3 meters of hose and shut off valve. • Overall size is 240mm diameter x 240mm height.